Hot wings are undoubtedly a crowd favorite. There’s just something indescribably therapeutic about digging in hands and face first, smothering yourself in tangy hot sauce. Nothing can quite match that sweet satisfaction of biting into a tender wing, pieces of chicken effortlessly sliding off the bone and into your mouth. Hot wings are good any time of the year, but especially during huge sporting events like… the Super Bowl! This Sunday, the New England Patriots and Los Angeles Rams go head to head for the big win. The best way to celebrate one of the biggest sporting events in America is with good company and even better food. Check out our Devil’s Punch Hot Wings Recipe and WOW your guests this Sunday! 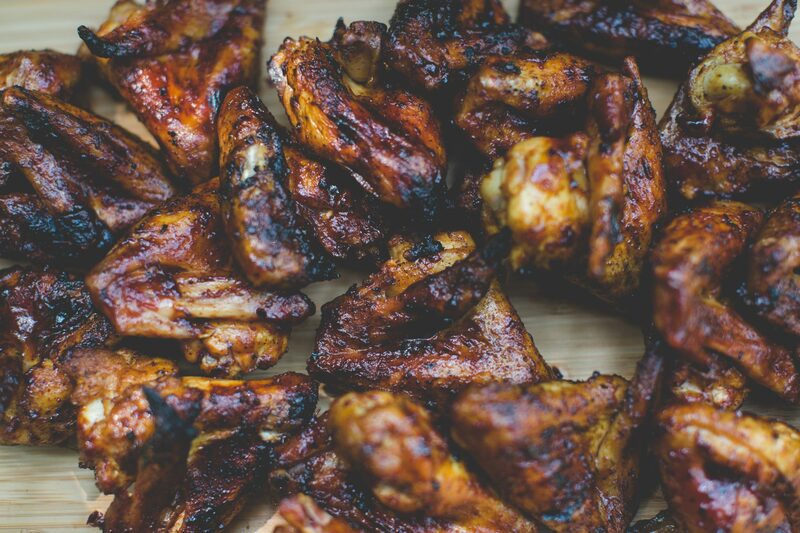 Dust your wings with MAK Chipotle Rub and let them “sweat” (rest in the fridge with rub on them) for 30 minutes. With the Flamezone covered, preheat your MAK to 375. Once it’s ready, place your wings on the grill for 20 minutes and then flip them. 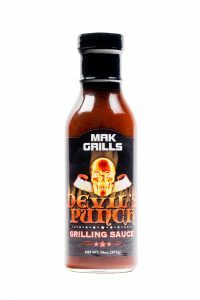 After another 20 minutes, make sure your internal temperature (IT) is 165 and then evenly apply MAK Devil’s Punch Grilling Sauce to both sides of your wings. Let them glaze for about 5 minutes. Before removing from the grill, make sure each wing has an IT of 175 or over.